Sunrise is building a movement of young people to make climate change an urgent political priority. 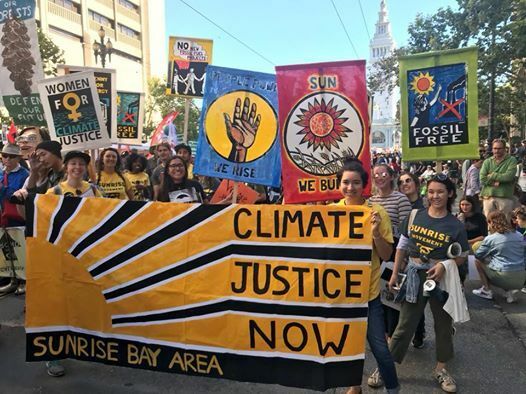 In 2018, we have been organizing to kick corrupt politicians propped up by the fossil fuel industry out of office and elect climate champions who will prioritize the health and wellbeing of people over profits. Check out more at www.sunrisemovement.org. This training will dig into the Sunrise Movement story, strategy, and structure. 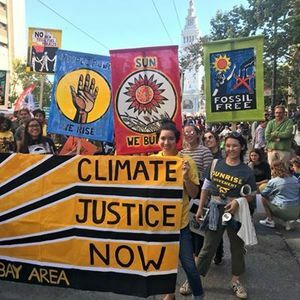 You will develop concrete skills and tools for community organizing, learn our strategy to make climate change a real priority in the Bay Area and California in 2018, and meet awesome young people from around the Bay Area! It's for YOU! Whether you've come to Sunrise Bay Area events and meetings before and want to get the big picture of the Sunrise vision or whether you're just finding out about Sunrise and inspired to learn more, you are welcome! This is a movement of young people – that means we have members of our hub who are high school students, college students, non-students, working young people, and more. People of all identities and backgrounds are welcomed and supported in this space. We believe we need all of us to win. Food: We will provide breakfast, lunch, and dinner on Sunday. Housing: If you are coming from out of town or need to stay closer to the training venue, we will help match you to Sunrise Bay Area hosts.